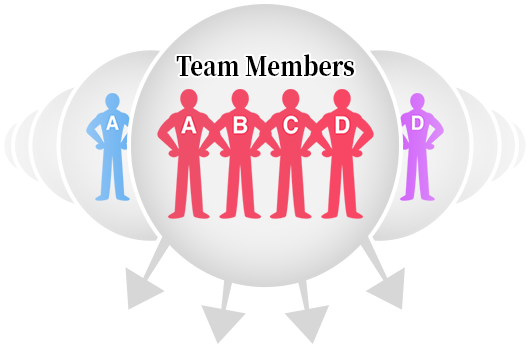 Before the start, 18 teams will be divided into two groups by choosing a number. 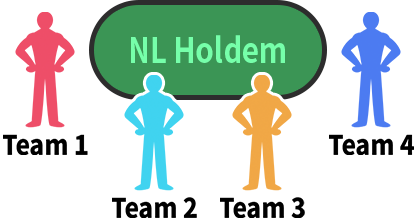 1 member plays Holdem, 1 – Hyper Holdem, 1 – Omaha and the last one plays Short Deck. Only 8 teams go to Day 2, if 3 members of the same team lose, this team will be out. After level 12, team ranking is decided depending on the total chips of a team. Individual Scoring: Each eliminated player earns points based on order of finish. At the end the total amount of each team points will be counted. The top 4 teams will go to the final table. Each team will choose 1 player to play at the final table, but teams will change players at each level. Before heads up starts, a team can discuss an action only twice. When heads up, all the team members play together.